REScheck Basics REScheck,Manual J, Manual D, Manual S | $79 RESchecks & Manual Js. $79 Any Plan. Any State. Sometimes it is easy to get wrapped up in the intricate details, calculations, and codes that make up REScheck reporting. When you truly break down the REScheck energy audit process what is it? Our goal today is to simplify the REScheck report and the components that make it up. 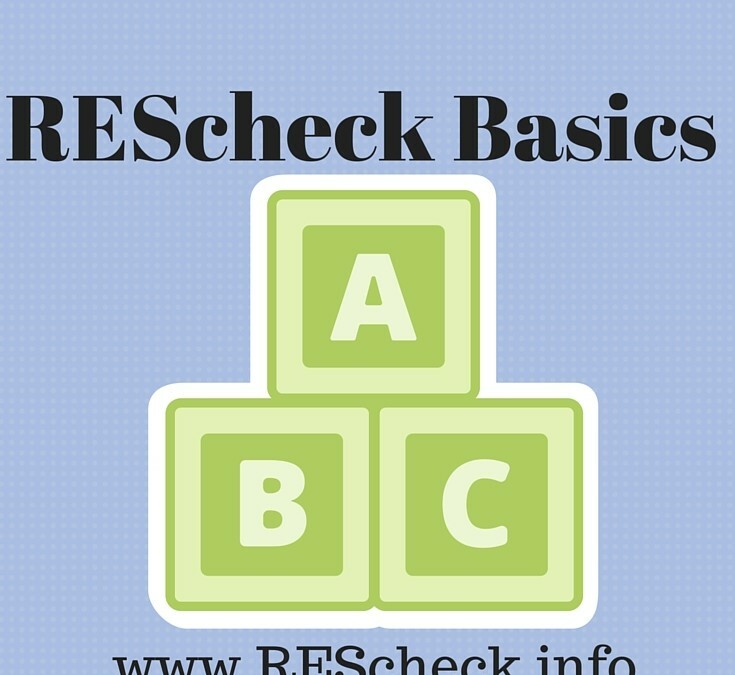 We are going to spell out the REScheck in basic terms to help you better under the why, what, and when of a REScheck energy audit. Why did REScheck reporting come about? Basically, in my career as a construction project manager I built homes in 38 different states, in hundreds of jurisdictions, and I worked with hundreds of building inspectors. The main take away I had, was that everyone interprets building codes a little differently. It is almost lake the warning labels on a ladder. A ladder by itself is a very simple product. Two long sticks held together by a bunch of little sticks. However, after millions of lawsuits and injuries the ladder now costs hundreds of dollars, and it is covered with over 30 warning labels. The same is true for building departments. Ever time they were burned by an unscrupulous contractor they made a set of their own rules as to how a home should be constructed and insulated in their jurisdiction. Anything that makes the home more energy efficient for the client has always been what I am about. However, the problem arises when homes being built in close proprieties have very different building codes, strictly because of personal preference of building officials. This is the reason why I feel that REScheck came about. It gave materials in the building envelope of a home a common value. This allows anyone to compare the building materials against the climate zone and code where the home was being built. No more subjective “this is how we do it” energy audits in towns and communities that have passed legislation requiring the REScheck. What is a REScheck? The Rescheck takes all the components of your home and pieces them together into an easy to understand report. It is a pass or fail test, so you either win or lose. The REScheck measures the energy efficiency of your building materials in relation to the code in your area, and the climate zone that you will be building your home in. A custom REScheck report from us contains over 5 pages including a checklist, summary, and sometimes multiple reports showing you how you can create a more efficient new home construction project. When is a REScheck report required. Personally, I would say that every time you build an addition, remodel a home, or start a new home design you should perform a REScheck energy audit. Then again I own REScheck.info, so you would expect me to say that. The reason why you might want to perform the energy audit, is that not doing one could easily cost you over $1,000,0000, over the life of your home. Are you listening now? So the short answer is that you should perform the REScheck before you ever begin your project. I have found many times that we could have helped build a more efficient home for less than it cost to build an inefficient home. When you talk to someone like REScheck.info that only deals in home energy you can get real time solutions for a fraction of the cost of learning on the fly while building your home. The basics of REScheck is that the DOE created a software to unify codes, jurisdictions, and energy calculations. This was a welcome step for builders like me who built billions of dollars worth of homes all over the United States and was always at the mercy of local building officials. In jurisdictions that require a REScheck report it is pretty easy to understand what they want. It either passes, or it does not. Your components either work, or they do not. With other REScheck report creating companies they take pride in failing your REScheck report. At REScheck.info we actually provide detailed solutions in the event that you fail, free of charge. If there is no way for your structure to pass, then we refund every cent of $79 no questions asked. Even though $79 will be the least of your worries, if your home is halfway constructed and fails. Which brings us to the final point. 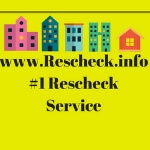 Take care of your REScheck report beforehand. As soon as you have your final set of plans you need to REScheck it. It acts as a great way to see how well designed your home really is and can save you tons of money in the long run. What other basic components of REScheck can you think of? Feel free to share them with us on Tumblr, Bloggr, Google +, Houzz, Twitter, Facebook, Pinterest, or just comment below.